In contrast to the self-interested shepherds of Ezekiel 14, Goggin and Strobel point to Peter’s epistle. The word Peter uses for those of us in ministry is partaker (1 Peter 5:1). As they write, “We are invited to partake in [Jesus’] way. We become shepherds who serve in hiddenness and are surprised when recognition comes. We become shepherds who are committed to being personal and present” (143). The danger here, as the authors remind us, isn’t power itself. Jesus spoke and healed and lived with incredible power, and he invites us into that same life. But the way Jesus used power was diametrically opposed to the way we inherently use it. 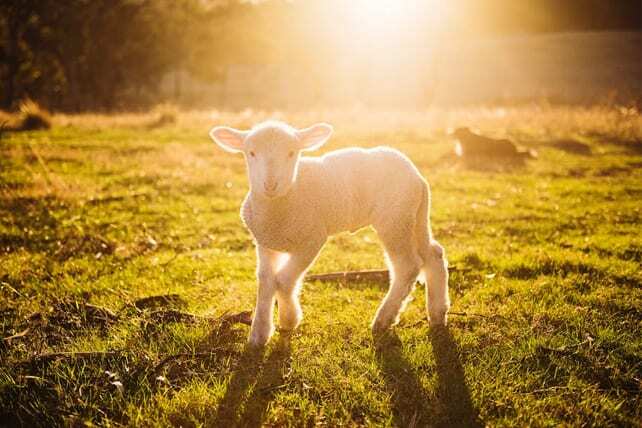 Jesus’ approach to power, the “way of the lamb,” uses power for love. It is power that doesn’t come from talent or visibility. It is a power, ironically, found in weakness through faith. Here’s Goggin and Strobel again: “I have seen my thirst for power driving my ministry. I have viewed other pastors as competition and the church as a means of self-glory. I have acted in ways that place me alongside the powermongers I so readily critiqued” (5). I have seen this in my own life, and it’s never been pretty. Early in my ministry, I was praying for miraculous revival in Durham, where our church is. The Holy Spirit impressed upon me this thought: “What if I bring the revival you are asking for…but do it through another church?” I knew the right answer. I should have said, “Yes, Lord! You must increase and I must decrease!” But the impulsive answer that bubbled up from my heart was much less flattering. “Success,” Goggin and Strobel write, “is not determined by what I accomplish, but rather by my faithfulness—faithfulness to the One who called me and to his gracious invitation” (129). I am no longer a man in my 30s, but I remember the anxiety and comparison that filled that decade. Everyone else seemed to be accomplishing more, and I had nothing to show for my efforts. Or so I was tempted to think. The more we find ourselves frustrated at our lack of “accomplishments,” the less we will compassionately focus on the ministry God has put right in front of us. Fruitfulness matters, but the only road there is through consistent faithfulness. If we are partakers with Christ in his ministry, we should expect most of our service to be done in secret, often overlooked and rarely praised. The shepherd, after all, is more concerned with caring for his sheep than for his reputation among the other shepherds. If others praise you for your service, accept it with humility. But you can’t be in this for the recognition. You’ve got to be in this because you want to serve God and his people. Previous articleGreat Small Group Leaders: Who Is the World’s Best?